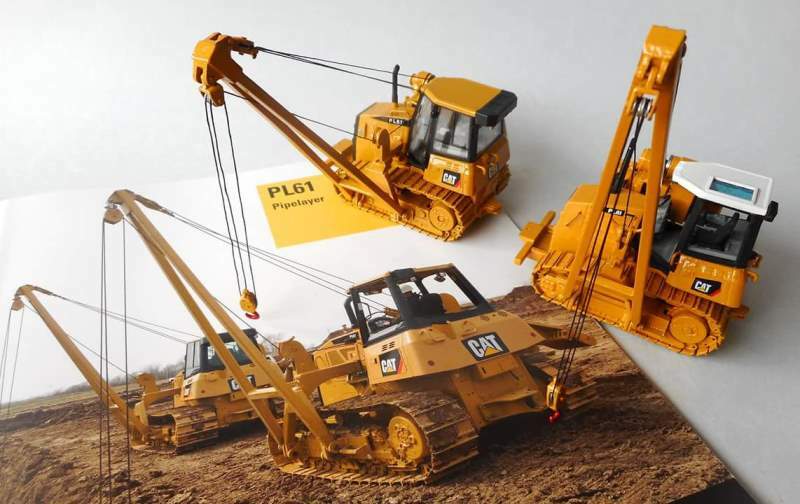 The Caterpillar PL61 Pipelayer in 1:50th scale from 2017 is a custom made model. Under the name Rod Cross Toys appear regularly exclusive small series of custom scale Models and Kits that allow you to add a machine variant or a unique work tool to your Caterpillar collection. The donor model is the Caterpillar D6K Track-Type Tractor released by Norscot. More then 30 casted metall pieces from the kit made by Rod Cross Toys are added and transformed by Ad into this unique custom Pipelayer. 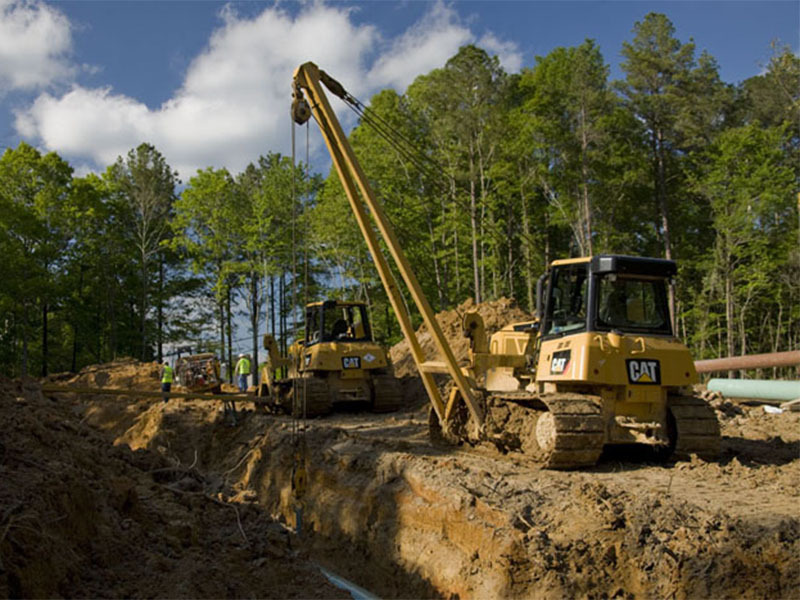 The Caterpillar PL61 Pipelayer was introduced in 2008. The machine is manufactured in the USA only. The PL61 is given a WGS serial number prefix. The PL61, shares many common components with the Caterpillar D6K tractor, featuring a Caterpillar C6.6 ACERT™ engine. Good for 123.4 hp. Available with either a canopy or an optional enclosed cab. 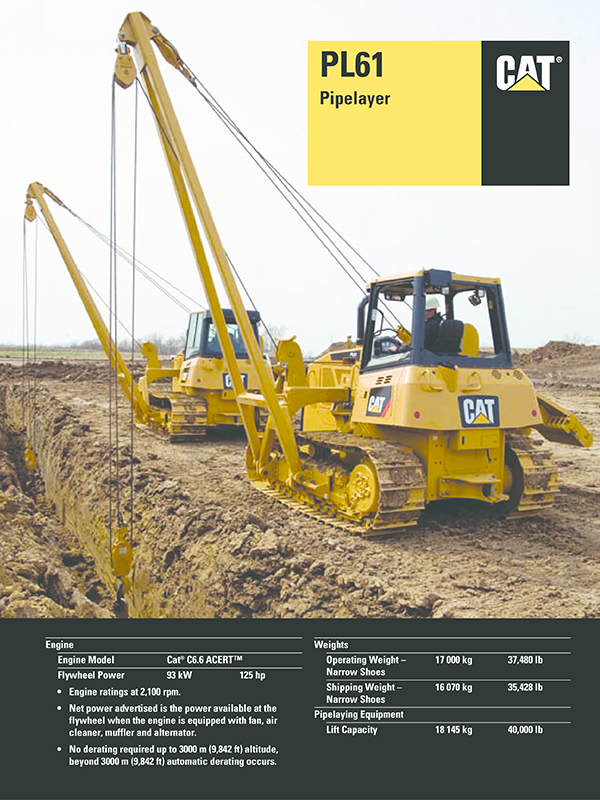 The 18-foot boom is constructed of high-tensile-strength steel, allowing a robust box-section design that is durable, yet lightweight to optimize a rated lift capacity of 40,000 lb.